Low carbohydrate diets have taken the world by storm in recent years. It originally became popular when the Atkins Diet came out in the 70’s. The Atkins Diet was a low carbohydrate solution to losing weight. Cut out your carbs and watch the weight fall off. It started off as a bit of a craze then faded out after not being backed by any solid research. Now again in recent years it has made an appearance. There is solid evidence showing that low carbohydrate diets can cause rapid weight and fat loss so it is something that you can go to as an option. The only issue is that it can be very hard to be consistent with over the long term. For some, low carb diets will be the go to weight loss solution, whereas to others a balanced diet based on calorie restriction will be the way to go. Whatever option you choose you just need to make sure that it is a diet that you can actually keep up with week in and week out. Most of the ones you see in the books are so restrictive that it’s nearly impossible to maintain. If you don’t think you can cut out one of foods you’ve been eating for years and years then you shouldn’t get on a diet that restricts that specific food. The first thing that we need to talk about in terms of losing weight on a low carb diet is the water weight. Most people see drastic drops on the scale within the first few days to a week of going on an Atkins style diet. The main reason for this is the amount of water weight you lose. What most people don’t understand is that carbohydrates attract water when stored in the body. Every gram of carbohydrate that you consume likes to bring around three times as much weight in water with it. This can cause large fluctuations in weight on a day to day basis depending on the types of foods you eat. For example if you eat three or four slices of pizza you are going to end up putting on quite a bit of water weight as well. Eating something like some lean protein such as chicken breast won’t produce the same type of effect. Believe it or not but it’s not unlikely for people on low carb diets to drop 5-10 pounds or more within the first week of their diet. After a bad meal here or there or a bad weekend the comments start to roll out. I can’t tell you how many times I’ve heard someone mention a comment like that after being on such a low carbohydrate diet. The next thing you have to understand is that carbohydrates get stored in your muscles and liver as glycogen. Your muscles and liver act very similar to a gas tank in a car, but for the carbohydrates you consume. Carbohydrates are nothing more than sugar aka glucose. Once consumed, this glucose is stored in your muscles and liver as glycogen. This glycogen (stored carbohydrates) actually equates to weight in the body as well, just like filling up a tank of gas in your car. As soon as you cut down on your overall carbohydrate intake you will lose weight from the decreased amount of glycogen storage. You’re pretty much just emptying the tank. This fluctuation of glycogen weight and water weight can cause huge fluctuations in the weight you see on the scale every day. If someone already knows about the first two reasons they drop weight from low carb diets, it’s rare that they think about the third. A decrease in overall calorie intake is the actual reason people lose weight on this type of diet. Yes they will lose water weight and glycogen weight, but that’s all temporary. The only way to lose weight permanently is by a reduction in the overall calories you’re eating. 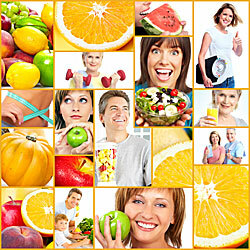 Most people like to attribute the weight loss from an Atkins style diet to solely cutting out carbohydrates. What they don’t realize is that a majority of high calorie fatty foods are also taken out of your diet when you cut out the carbohydrates. Most of these foods tend to be combined with lots of carbohydrates to make them taste better. Thing such as ice cream, cookies, doughnuts, chips, candy, etc. They’re all loaded with calories because of the amounts of fat they contain. As soon as someone goes on a low carb diet they’re cutting out most of the foods that cause weight and fat gain in the first place. A lot are high fat and full of calories and then a lot are just empty calories. These are foods and drinks that we consume but don’t actually fill us up. However, we eat or drink them anyway for the taste. As soon as you cut out carbohydrates you’re reducing your overall calorie intake by default. Just cutting out two sodas a day for an entire year can cause you to lose 20-30 pounds over the course of the year. All because of something that you could drink without even taking a second notice. Add in a candy bar here or there and it’s easy to understand how quickly you can put on weight over the course of a few months or year. 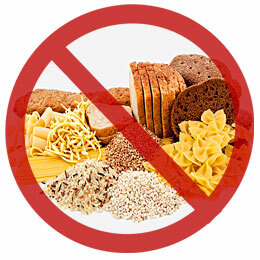 There are a lot of problems that come from greatly reducing your carbohydrate intake. The reason for this is that glucose (carbohydrates) is the primary source of energy for the brain. When you cut out carbohydrates you’re basically causing a withdrawal like situation in your body. Now this feeling doesn’t last forever. For most people it will take a few weeks to get adjusted to the new diet. This is where your body is supposed to go into a ketogenic state where it uses fat as it’s primary source of energy. 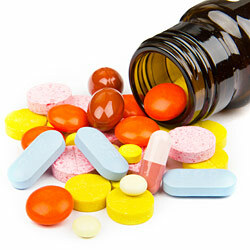 Many people say they feel great once the initial tiredness and headaches go away. Essentially what happens is that instead of using glucose from carbohydrates as energy, your brain will now use the ketones from broken down fat cells as it’s source of energy. Now some doctors will say this is true and others will not. Whether or not any or all of these symptoms do occur, the fact of the matter is that you don’t need to go through these symptoms to lose weight. Instead you can stick with some nutritional modification and not something so drastic to get the same results. Consistency is the key to any weight loss program. Whether it’s just through diet, exercise or a combination of the two. Most long term research shows that low carb diets aren’t any more effective at permanent weight loss than traditional dieting or any of the other diets out there. What it really comes down to is whether or not you can sustain the diet for weeks, months, even years. You have to ask yourself a few questions when thinking about an Atkins style diet. Are you willing to cut out pretty much all pastas, breads, and sweets for the rest of your life? Will you never eat pizza again when you’re around your best friends? Will you never eat cereal? Will you cut out most fruits? Will you be fine dealing with the headaches and hunger you’ll feel when initially cutting out carbohydrates out of your body? Lastly is it worth going through such strides if research shows that in the long run that any other diet would be just as effective as long as you stay consistent? Being a trainer and now owning a personal training studio, I can tell you that low carb diets are very hard to sustain over time. They will produce very effective and rapid weight and fat loss initially, but it will be hard to maintain this type of eating. We’ve had a number of clients at our studio that have done very well with a low carb style diet. Others haven’t faired so well. For most people low carb diets can be a little excessive to start. If you focus on eating more lean protein, increasing your vegetable intake, and reducing the highly process sugary foods that most of us eat then you will be well on your way to weight loss. If this isn’t working for you then doing something drastic like cutting out carbohydrates may be what you need to do. As long as you’re consistent. Eat better on a daily basis and exercise more often and you’ll experience weight loss. Some diets may cause more rapid weight loss than others but they will all work for the most part as long as you stick to the plan. The general rule of thumb at our studio is to stick with your diet 90% of the time and you will get results. If you fall off a little bit here and there you don’t need to worry about it so much. You need to make sure you can still enjoy your life while being on your journey to a healthier lifestyle. You have to understand that you can be healthy and fit without having to completely change everything about your lifestyle. Eat more often throughout the day with smaller portions and increase your vegetable intake. The rest will pretty much take care of itself.